Fresh young crispy stems can be grated and used raw in salads. Peeled stems, cut into slices or cubes can be used in lieu of potatoes and broccoli in recipes. You can also try oven kohlrabi fries. 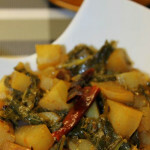 The leaves are a great substitute for spinach, kale and even cabbage in many recipes. 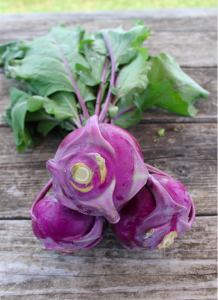 FEATURING: Kohlrabi, lettuce, arugula and white turnips or radishes. 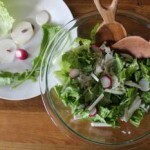 Just throw in whichever veggie you have at hand and use the following dressing or the dressing of your choice! Kohlrabi is quite mild and goes well with an array of dressings! FEATURING: Kohlrabi, onions, garlic and tomatoes. 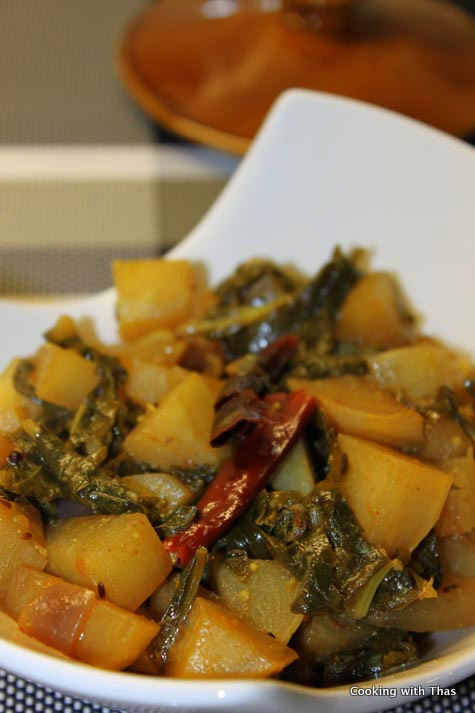 A simple but tasty curry that uses an entire bunch of kohlrabi, stems and leaves included! FEATURING: Cauliflower, kohlrabi, garlic scapes, green onions, tomatoes, onions and cilantro. 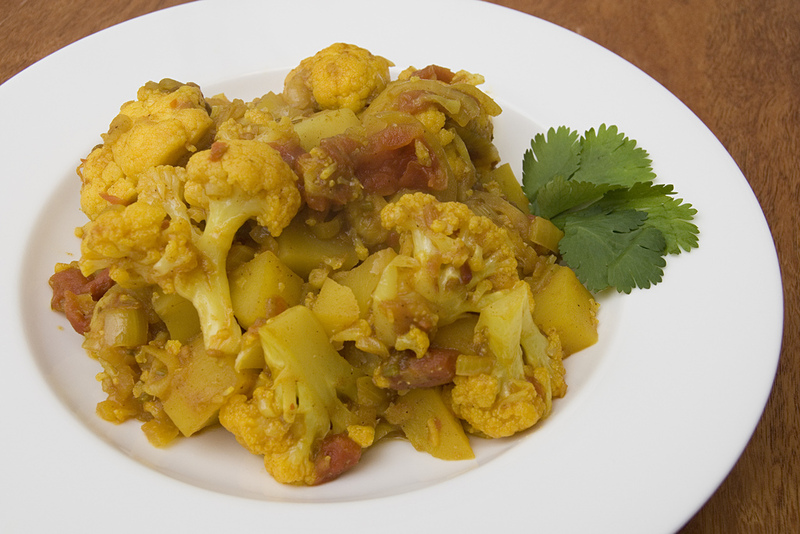 This is an Indian recipe Jim and I found in “Vegan Epicure” (Hermine Freed) way back when we had to cook large meals for our roommates in University. It can easily double or triple this recipe which is not only easy to make, it is quite delicious! 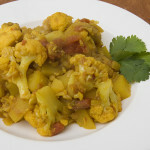 Traditional Aloo Gobi is made with potatoes (aloo) but we like to use kohlrabi instead when we have it handy!